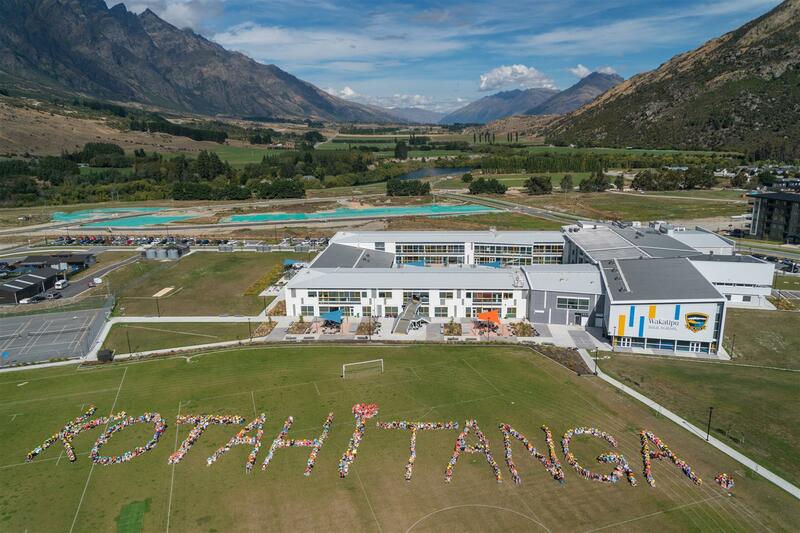 Wakatipu High School pupils observed two minutes of silence yesterday before gathering on the school field to send a message to the Muslim community and those in Christchurch affected by last week's terrorist attack. Teacher Lucy Ford said "kotahitanga" was the Maori word for the school's value of inclusion. 1: All 1100 Mount Aspiring College pupils and staff stand together on the school field in the shape of a heart to remember the victims of last week's terror attacks. 2: Alexandra Primary School pupils gather together to observe a silence at 1.40pm. 3: The vicar of St Luke's Anglican Church, the Rev Andrea McDougall, leads a prayer in Oamaru.